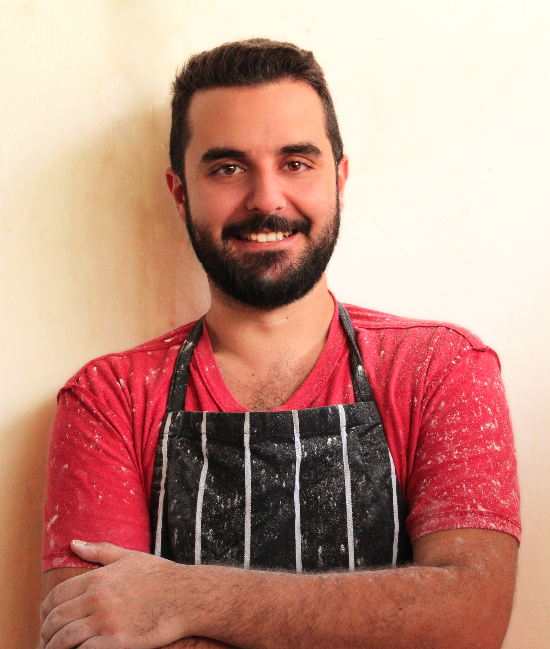 On the day off when the country was celebrating Al Adha, my uncle woke me up early in the morning asking me if I’d like to go with him to the olive press located somewhere in the mountains over Jbeil – Byblos. Me, being a lazy boy, agreed to go only after loads of hesitation and self-questioning. The main reason behind getting out bed this early is because of one thought: I’m not the only one who has never ever visited an olive press. Olive oil has been linked to our Mediterranean cuisine. We do love using loads of it. 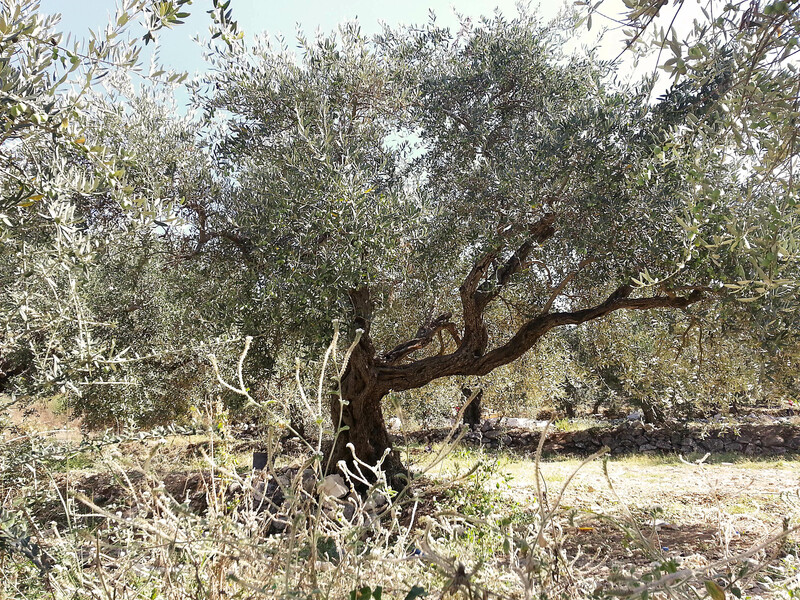 Our lands produce a lot of olives and it is like a sacred tree to some. I personally love olive trees: intertwined brown flaky trunks crowned with silvery green leaves encrusted with fleshy green or black bitter jewels. IT IS THIS PRECIOUS. I’m not yet in the oil part. I’m not going to list the benefits of love oil just to make my post more scientific and add more words. You can Google Olive Oil Benefits (here’s a link to the search results if you’re too lazy to type). I’m going to skip to the process. We got to Cavalier Charbel Chedid olive press in a town called Chamat in Amchit. The Chedid family are nice and welcoming. Mr. Charbel Chedid guided me through the process as it went by. From olive to olive oil. Olives are emptied into a grid that filters out large sticks and branches. Olives are then carried on a conveyor belt, separated from the leaves, washed and dumped into the grinder. 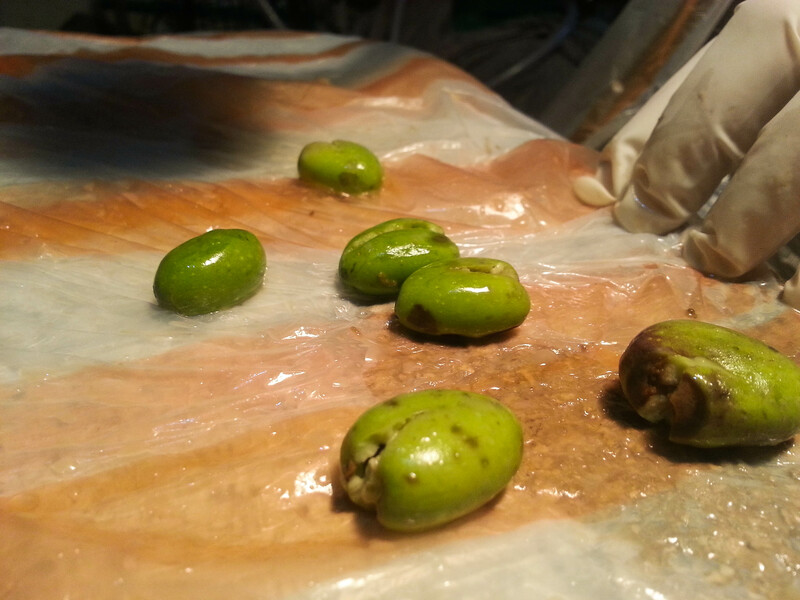 Ground olives are rinsed off the walls of the grinder using warm water (30°). Other machines require hot water (90°) but that degrades the quality of the oil. The rinsed olives mixture is kneaded in the next machine and then moved to a machine that separates the elements of this mixture. The mixture enters the machine and is separated into water (the one that was used to move and knead the ground olives), pulp (including remaining flesh and ground olive stones), and the unfiltered oil. At this stage, oil is brownish and doesn’t look appetizing. or as Mr Chedid puts it, and excuse the nasty image, the machine is like a cow or goat; one place…Excuse the rawness of this image but Mr. Chedid described that machine as a cow or goat; one place that gets the milk out, another for pee, and another for poo. The pulp is thrown out and then used to make chimney logs or a substance that’s mixed with coal to sustain it for a longer time. Oil is sucked into the filter using a pump. At the other end, this magical golden green (I don’t know if these can go together) liquid flows out with an intense aroma of olives and a sweet taste that gives you a slight kick in the throat as it goes down. How would I know? I couldn’t help but fill the bottom of a small cup and gulp it down. It is so good I could have had more. Don’t look at me like that. Ok, I did *hides face* I filled another cup of the flowing opaque green syrup. This time I turned it in my mouth, passing it around my taste buds and enjoying the flavours it unfolded. The sharp kick and burning sensation fresh oil gives developed a few days later. I found that out as I tried to have a shot of olive oil in the morning and it burned my throat. They say having a shot of olive oil (good olive oil) on an empty stomach is good for the health. 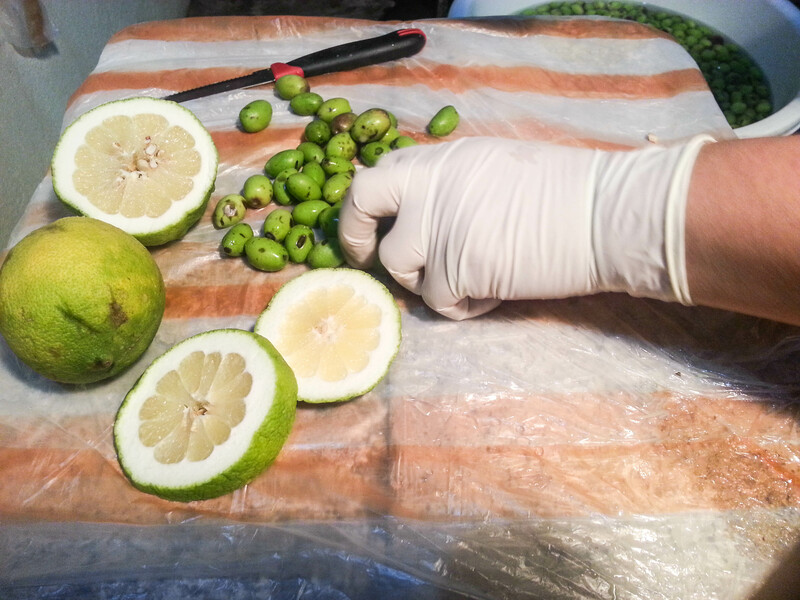 The whole process took around 1 hour and 10 minutes, from emptying the olives to filling the gallons. We got our oil, packed the gallons in the car and decided to leave as I saw a family picking olives from their field across the street. They saw me taking photos from afar and invited me to come closer. 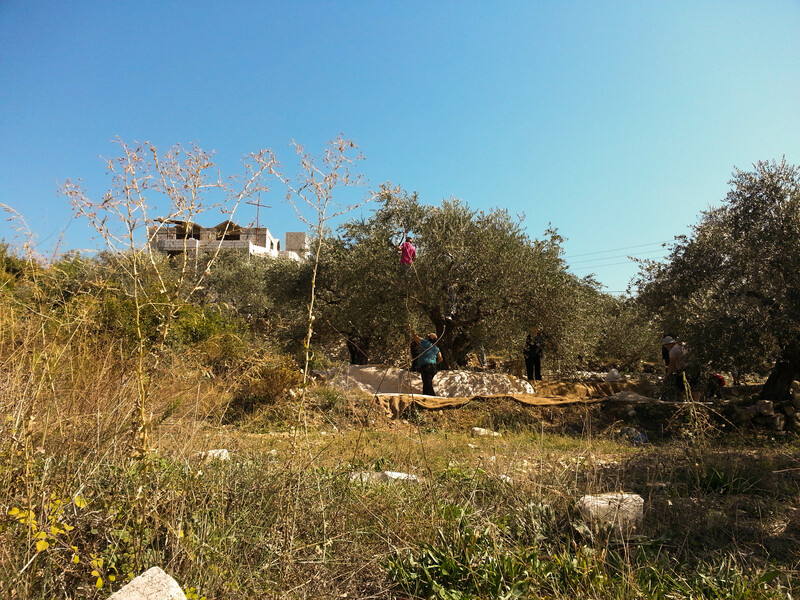 It was reminiscent of the time back in 2006 when a group of families including mine gathered to pick olives. I got closer, helped a little with few branches, pretended to be the tough guy that can saw a log by himself (and failed, and got a red face because the sun was really hot. but i did get through 3/4th of that log… almost…but I went on with almost 3/4 of that log) and took photos of the family’s day at the olive grove. 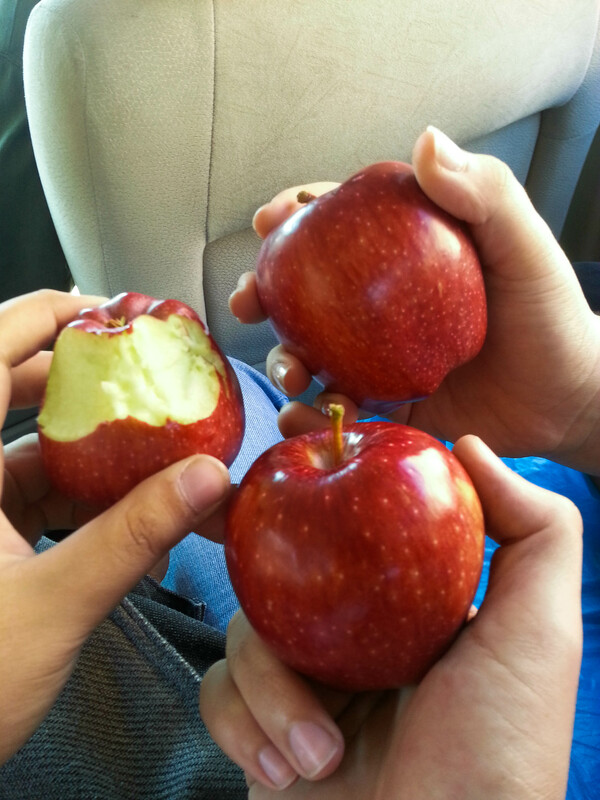 Upon my uncle calling me to hurry, I wished the family a good day but they didn’t let me go without carrying a few red apples for the company (ride?) back in the car. I can easily say they were one of (turned out to be some of ) the BEST apples I’ve had this summer. Crunchy and sweet with a beautiful thin red skin. When we got back home, I tried looking for recipes where olive oil is the main ingredient. I think olive oil ice cream is the closest. In others, Olive oil is used as a garnish or dressing. 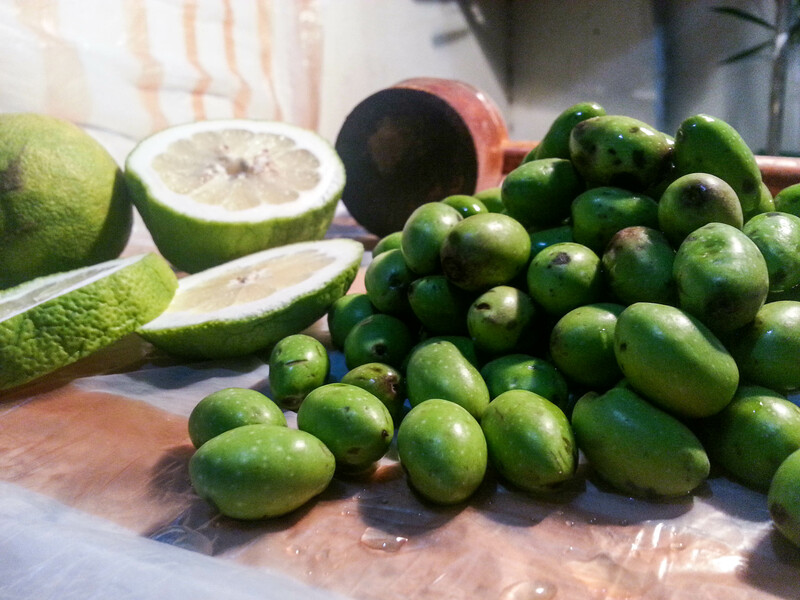 The best recipe to make is go back to the origins and pickle some green olives. I’m not going to go with precise measurements but it’ll be the old-fashioned way. 3al baraké. Prepare your working surface: either use your counter top or a cutting board/mat. Either work outside with things (like walls, chairs or people) away for a good meter or two or cover the area where you’re working with paper towels or kitchen cloths. Olives will spray their juices when pressed. Fill with olive oil to covers the surface of the water. This will prevent air from ruining the pickled olives. Variations: add olive leaves or fresh thyme twigs. They would look beautiful and thyme can be eaten as well. Pickled olives can be prepared using 2 methods. The above is to preserve it all year-long. The other is for quick fresh use where you crack the olives open, toss them with rock salt and lemon slices adding salt and shaking them daily. They’ll be ready to eat in less than a week. P.S. This morning as I attempt to post this, I remembered I read a novel by Alexander McNabb called Olives. It is fascinating how he describes the celestial olive trees in Palestine and how they’re (still) brutally treated. 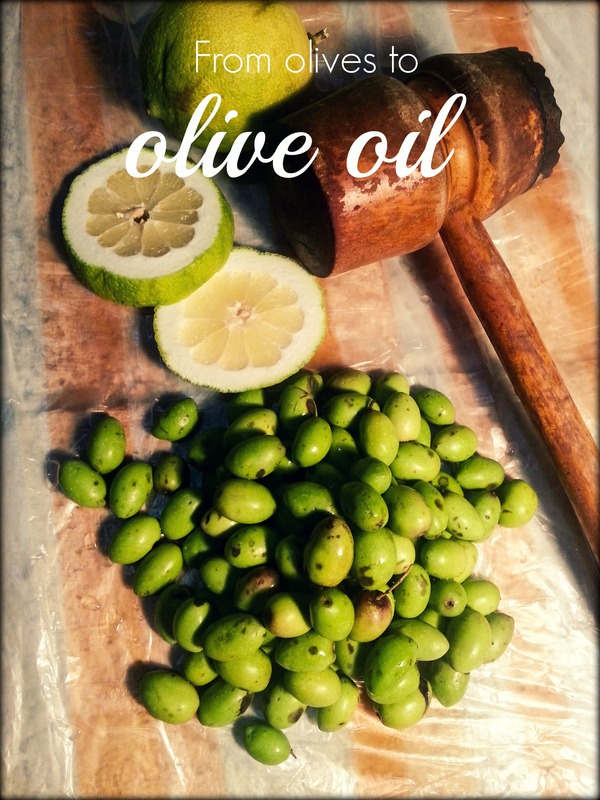 This entry was posted in Food Adventures, Lebanese, Personal, Recipe and tagged apples, Business, Byblos, Chamat, Condiments, Cooking, family, Food and Related Products, green, Home, homemade, lebanon, mountain, oil, Olive, Olive oil, Olives, pickle, pickles, press, treasure, vegetables. Bookmark the permalink. Oh wow the color of that oil! I want me some!! You see? It’s so appetizing. my friend’s husband goes to Saida and the press there lets you chose the types of olives you want then you get the oil. Luckily we have our own trees and oil, but only one year out of two. great documentary. enjoyed your effort. That’s amazing. I guess the best olive oil is the one you get yourself. It’s even better to grow and pick your own olives. What happens on the second year? There isn’t enough olives for oil or there is none at all? I love every bits of it! the colors, the photos, the words! You did an amazing job ya Hisham!